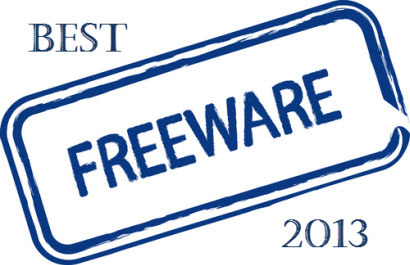 While 2013 has not seen a huge amount of activity on the freeware scene with most established products remaining largely unchallenged in the popularity stakes, there have still been a few relative newcomers that have managed to capture the imagination. It’s been my experience that it requires something pretty special to lure users away from long time favorites and try something new different anyway. It’s rare to find a one-shoe-fits-all freeware solution that one can recommend for all levels of users in all circumstances. Consequently, our ‘Best Of’ selections are geared toward the vast majority of ‘average’ home users and based on a balance of criterion including; simplicity and ease of use, size and resource usage, effectiveness, and to a lesser extent, overall reputation. There was a time when AVG dominated the free antivirus market, in those days just about every machine I worked on had AVG Free installed. After several years in AV purgatory, AVG Free has made a comeback of sorts this year but not enough, in my opinion, to regain top spot. Conversely, Avira Free Antivirus (formerly known as AntiVir), once regarded as the ‘geeks’ favorite AV, has seen a steady decline in popularity over the past couple of years. 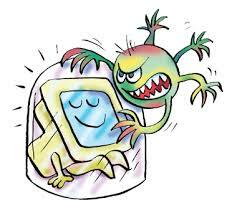 All during those ups and downs one free antivirus solution has maintained a consistently significant following, Avast Free Antivirus. There was a time when these ‘big 3’ free antivirus solutions would have slugged it out, blow for blow, in the popularity stakes but I do believe Avast has now established an overall dominance. While it’s far from perfect, Avast Free has a history of scoring consistently well in laboratory tests, both in terms of protection and rate of false positives. Plus it’s always been one of the lighter AVs around and continues to be so. One newcomer which I do believe rates a mention is Panda Cloud Antivirus Free Edition. I installed Panda Free on my aging XP system and, while it includes a nice range of protection modules and is certainly light on resources, I was bitterly disappointed at its behavior during the installation process. I realize this practice is becoming more and more commonplace, plus there are clear options to decline, but really… a security software that wants to install a toolbar plus change the default search provider and home page? Don’t know about you but that’s not the sort of behavior I expect nor want to see from any program which is supposed to be protecting my system from the very same potentially unwanted paraphernalia it is itself wanting to install. Marginal winner overall… Avast Free Antivirus. Disappointingly nothing new in this department. Well, nothing new that’s worthy of consideration anyway. The free versions of Sandboxie and WinPatrol remain clear choices to help augment overall security. There are distinct differences in what these applications can do for you; Sandboxie will help keep you safe in a multitude of situations per medium of its isolation technique, while WinPatrol is very effective at monitoring processes looking to insinuate themselves into the system. Both are extremely useful and can certainly be used in tandem, but it’s Sandboxie’s overall versatility which just gives it a slight edge over the more unilateral WinPatrol . Keep in mind too that the free edition of Sandboxie has been greatly improved during the past 12 months with the addition of full support for 64-bit systems. Both Sandboxie and WinPatrol are highly recommended but there can only be one winner… Sandboxie. Yet another category where nothing new has excited the imagination during 2013. Having just stated that there can only be one winner, I’m now about to immediately break that rule… I’ll give myself an uppercut. Trouble is; some users are happy with just the basics while others require that little bit extra, featurewise. For the basics I still can’t go past Sumatra PDF Viewer, which is very small, portable, and renders PDFs very well. For just that little bit extra in the feature department there are three viewers of note with free editions, PDF-XChange Viewer, Nitro PDF Reader, and Foxit Reader. Foxit Reader and Nitro Reader each include a nice range of additional features but there is trade-off of course, with both becoming just a little too bloated for my liking. Just for comparison purposes; Sumatra is a 2.7MB download, PDF-Xchange Viewer weighs in at 8.00MB., while both Nitro and Foxit are in excess of 30.00MB. Additionally, downloading Nitro PDF Reader direct from the developer requires submitting a name and email address. While that may be quite easily overcome by utilizing a pseudonym and disposable email address, or even downloading from a third party source, it does raise the question of why it should even be necessary in the first place…. what does Nitro want to do with our email addresses? It is the motivation behind the requirement I find questionable rather than the requirement itself. In the end, with a nice balance of features to file size plus availability of a portable version direct from the developer, I opted for PDF-XChange Viewer as the overall winner. For those who require nothing more than a basic viewer, Sumatra is also portable and another clear recommendation. At last we have something new to talk about, the outstanding PrivaZer. While I concede that the venerable CCleaner remains a truly viable choice, I do believe that a couple of relative newcomers have now stolen CCleaner’s thunder. PrivaZer is my top pick here, with a special mention for SlimCleaner thrown in. PrivaZer’s executable can be used to fully install the software, run without installation, or quickly and automatically create a portable version… now that my friends is choice! 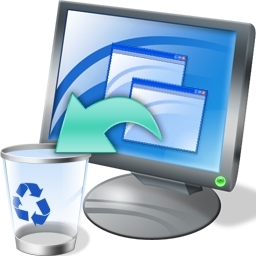 PrivaZer’s deep cleaning abilities and obvious attention to user privacy are deciding factors but, with options to automatically create system restore points and/or backup the registry, PrivaZer also includes the requisite safety nets. I also had a good look at SlimCleaner during a series of comparison tests conducted back in early 2012 and was quite impressed. I would have no problem recommending SlimCleaner, I just reckon PrivaZer is a cut above everything else on offer right now. Another aspect of PrivaZer which I find appealing is that it relies solely on a free version, while most other leading/popular cleaners come in premium versions with a feature-limited free edition thrown in for good measure. Alternatives to the costly Microsoft Office do not exactly abound. Fortunately for us, those that do exist are generally very good quality suites. I guess the two major contenders would be OpenOffice and LibreOffice which, although they are in direct competition with one another, ironically emanated from the same source. OpenOffice, now known as Apache OpenOffice, was the original and long time most favored alternative to Microsoft Office. Then, when Oracle acquired the rights to OpenOffice, the project was discontinued and re-emerged as Apache OpenOffice. A large proportion of the original OpenOffice developers who became disgruntled with Oracle’s management of the project eventually left to form a new development team called The Document Foundation which produced and is now responsible for LibreOffice. 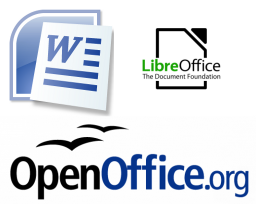 Although there is very little to pick between the two in terms of features and overall compatibility, I have a slight leaning toward LibreOffice. Primarily because The Document Foundation appears to be more actively developing its suite, but also because it is a non-commercial enterprise whereas Oracle is a huge revenue based corporation. The winner then, in a rather small field… LibreOffice. This is another category where it’s a case of out with the old and in with the new. In years gone by Revo would have generally rated top product among the free uninstallers but that is no longer the case. The free edition of Revo Uninstaller does not support the removal of 64-bit applications, in fact it doesn’t even include 64-bit applications in its list of installed programs. In this day and age, that is a serious limitation. Enter Geek Uninstaller, a free and portable uninstaller which does support all 64-bit programs as well as 32-bit. Geek Uninstaller is also pretty good at cleaning up program remnants and leftover registry entries so is pretty much on a par with Revo in terms of efficacy with the additional and huge benefit of also working with 64-bit applications. I realize there are alternatives available which may include additional features but on the balance of all criterion, Geek Uninstaller is top pick. 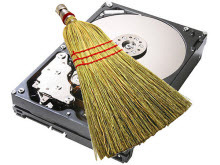 There are two main types of backup software to consider; image backup and file/folder backup. Personally, I much prefer the former because the imaging method is not only all inclusive it can also be used to recover a broken system. Consequently, the main consideration when rating imaging software is ‘reliability’, users must be safe in the knowledge that the software will ensure successful recovery following a disaster. There are three main contenders in this category; EaseUS Todo Backup, Macrium Reflect and relative newcomer Aomie Backupper. Let’s deal with the two more established solutions first – EaseUS Todo Backup and Macrium Reflect; EaseUS’s offering was once the more feature rich of the the two but recent releases have seen a quite dramatic reduction of features supported in the free version. So much so that there is now very little to pick between them. As far as the all important reliability goes; common indicators, including user comments and reputation, clearly favor Macrium Reflect. Now for the unusually named Amoei Backupper. This relative newcomer’s feature set is really quite impressive. I particularly like the built-in ability to create bootable USB media for disaster recovery in addition to CD. Also, Aomei Backupper is the only one of the three which supports both incremental and differential backups… for a free imaging software it certainly is full-featured. Obviously, a degree of reliability can only be assessed following a period of time and usage but, considering Aomei’s reputation for producing quality software, I suspect Backupper would be very reliable. Another major consideration here is ease of use, these imaging programs can be quite complex, even for more experienced users… Aomei Backupper also comes up trumps in that department. I may be jumping the gun a little but I’m going to go out on a bit of a limb here and opt for Aomei Backupper, it just tops the ratings in too many aspects to ignore. Feature set is great, file size to feature set is spot on, ease of use is pick of the bunch, and user comments to date have been universally glowing. I’ve already downloaded and installed Aomei Backupper and am planning a proper test and review for early next year… stay tuned for that one. **A notable omission here is Paragon Backup & Recovery Free, and I do apologize for that. I admit to knowing very little about this software. However, I do know that it is a 102MB download which places it on a par with the over sized EaseUs Todo Backup, and, although it includes a comprehensive feature set, I get the sense that it may also fall into the overly complex category. Cheers, and I sincerely wish everyone a safe, peaceful and joyous Christmas. Much appreciated Jim, great freebies in the list. I have used Paragon and found it to be rather complex, so I have been using Macrium Reflect for some time. I will give Aomei a go as I reckon a change will be an interesting exercise. Happy New Year to all and enjoy the Hillier tribal gatherings. Will be very interested to hear your thoughts on Aomei Backupper Jonno, please get back to us on that one. Still the best at what you do Jim, awesome job as usual. Happy Holidays to you and yours as well. Cheers JW. Great to hear from you mate, it’s been a while. Kingsoft Office 2013 should definitely be included instead of LibreOffice. With the tabbed interface and great compatibility with MS Office and also extremely similar to MS Office, it’s the best free office suite out there. Also IOBitUninstaller is a great uninstaller. You do appear to have a penchant for the unethical Jack. I would not trust either of these companies and I certainly would not recommend their software, even on principle alone. Thanks Jim for this bang on review. Regarding free antivirus: I used Panda Cloud for awhile, even paid for the Pro version (they had a big discount), which mostly just adds firewall. I quickly decided that was a mistake; the firewall doesn’t block outgoing as default with a popup request as most do, but allows until you configure it to block. Didn’t use it. (Of course you are discussing freebies here). I found in time that Panda Cloud was slowing my PC more, so I abandoned it. Tried AVG but still slowdown was noticeable too. I then used Microsoft Security Essentials until I read reviews of its approx. 75% detection rate. I am now using Avira free and PC runs quick. I agree that Aomei Backupper seems to be excellent imaging software. Lots of features. Haven’t had to do a disaster recovery yet, which is of course the acid test. However, as you say, their reputation is excellent. I have used their Partition Assistant, even to resize my OS partition, with success. I disagree about the reputation of Aomei being “excellent”. They are persistent forum spammers. At one point they were making multiple registrations to hit our site on a daily basis. Developers that adopt this strategy should be avoided like the plague. Cheers Randal. Thanks for your input here mate, appreciated. @Glyn – All these vendors employ very similar tactics to help spread the word about their software, especially while relatively new on the scene. I deal with all of them almost on a daily basis and, in my experience, Aomei is certainly no worse than the others. In fact, I’d say they are way better that most… and their software is very good. I totally agree with you, this company is more unethical than both IObit and Kingsoft, they have been spamming my site for years now and another forum that I moderate. Their whois info is hidden by proxies and they are also a Chinese company. IObit and Kingsoft does not hide their whois info from lookup. All of their free products have strict limitations, they will only function as a limited trial and then after using them for awhile, then features are disabled until you buy the product. They post fake reviews all over the web on download sites, blogs and forums. I simply refuse to list their products on my website but I do list IObit and Kingsoft products. Thanks Jim. great list. I agree with u. Should include some free encryption/protection tool and disk defragment tool also. Hi Zeff – Appreciate your input here… thanks. I’ve never seen the need for any encryption tool myself, it’s not as if your average home user is dealing with trade secrets or anything. And disk defragmenter software is hardly “essential”, especially seeing Windows already has a perfectly acceptable disk defragmenter built-in. Glad to see a mention for Sandboxie. It’s a really handy program. While it’s got a free and pro version I was surprised to see no mention of Malwarebytes as the free version is a very good program and I have used it to fix many people’s computers when nothing else would work. I now own the pro version which amazingly last’s a lifetime including updates (basically just a once off fee) and I’ve never looked back. I got the pro version of Revvo Uninstaller cheap during a deal a while back. It’s a handy program but as I found out the hard way it’s a dangerous program if you don’t know what you are doing. I recommend only using the basic modes as the advanced modes can lead to the wrong things being removed e.g. wrong registry keys which in turn can lead to other programs having issues – I found a load of programs wouldn’t run after. Thanks Jim. I had not heard of Geek Uninstaller, but after your recommendation I tried it out. I have /had an install of Flight Sim X and being version 1 it had many updates and plugins added to keep it running but that process along with the Flight Sim X Acceleration add-on and I imagine the original installers will no longer recognise the altered files. I have had to do this once before and it ends up very messy. Geek Uninstaller took a little time but dealt with all the flotsam & jetsam saving me a lot of noodling around in the registry. A great piece of software. Thanks for giving us the heads up about this. Some great pointers and I’ll definitely be using many of these. I love freeware. I’ve been installing Panda Cloud on customer PC’s as of late and yes, that message to install add-ons is very irritating and counterproductive. @Littlebits, I agree with you on Iobit, but know nothing about Kingsoft. Many months ago I purchased and installed a program from Iobit, RegClean Pro, only to see that more than two thirds of the interface of this program carried a large advertisement, for, as I recall “Advanced System Optimizer” Clearly, this was adware, and to me it was simply unacceptable. I immediately uninstalled it, and contacted Iobit again and again for a refund, but received no reply. Eventually I took action, and through the good offices of an intervention company, at last received a full refund. I had warned Iobit that I was charging them $10.00 US a day for their wrongful use of my PC for advertising, and it was when I demanded a few hundred USDs also, that they came to life suddenly, with my refund!!! But it took months to get the refund. Never ever will I have anything to do with Iobit again. Yes, Jim, I get hot under the collar when these “free” programs, like the Panda Cloud Antivirus you mention, are bundled with distasteful PUP software, for the sake of filthy lucre, and invariably the tick-boxes are pre-ticked. One has to be very careful these days to uncheck the boxes before installation, and even then, one still often gets the PUPs. PeaZip, once a good unziping program, now has Open Candy, undoubtedly a type of spyware, without the option of opting out, hard-wired into PeaZips EULA, so I now use 7-Zip which is better than PeaZip anyway. You find these things out only when you have gone to all the trouble of downloading. I wrote to FileHippo.com asking them to maintain integrity by warning the public of free programs with PUP-ware, as TechSupportAlert.com (dedicated to freeware of every type) does, A visit there is really worthwhile. TSA is a great freeware site of absolute integrity. But thank you for the information on good, altruistic free software, Jim. 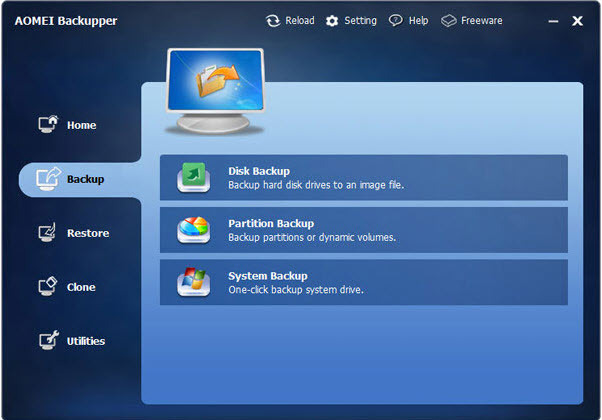 I am definitely going to install Aomei BackUpper as the Windows 7 backup facility is not of the best. There is a new free program available especially written to ensure these boxes are unticked. It’s called Unchecky, and passed my Gizmo’s TechSupportAlert.com as tested and safe. It sits in the background, self-updating all the time, ready to pounce on so-called free programs like that Panda thing, and unchecks those boxes without fail – excellent for the techno-challenged learners. And aren’t we all still learning? Being 77 I certainly am! Hi Ballyirish – PeaZip has been bundled with OpenCandy for some time but I believe the portable version would be clean. I agree with you re the TechSupportAlert site, did you know that the founder (Ian “Gizmo” Richards) is an Aussie? Surprisingly, TSA did recommend IOBit Malware Fighter, via its ‘Hot Finds” section. The piece received quite a few negative comments. I’ve already earmarked Unchecky for a look see, sounds like it could be useful. Thanks for your input here, always appreciated. Hello Jim, Today Microsoft installed four Windows Updates on my Windows 7. With all the talk about CryptoLocker, I wonder whether one of these four stops C.L? Anyway, I installed CryptoLocker Free on my PC a few days ago, and feel easier. I wonder whether one of these four stops C.L? I think you meant CryptoPREVENT Free BI. A wise precaution! No Jim, I didna know Gizmo Ian Richards is an Aussie. No wonder he’s so darn good! Put a feather in yer cap, mate! Now I’m worried as I use PeaZip, but I did do a custom install and unchecked everything as it installed? If you unchecked everything along the way John everything should be fine. The danger is when users don’t notice the extra installation options and just keep clicking ‘Next’. John, you cannot opt out from Open Candy when installing the latest PeaZip: it’s bundled in really tight and forms part and parcel of the EULA. Rather install the better 7-Zip (free also). It’s clean. Jim, thanks for the correction: re CryptoPrevent; and for OAMEI, a first-class free, all-inclusive “backerupper” very easy to use. OpenCandy is NOT installed on the machine, nor does it automatically install anything on the machine. It merely scans the host computer and then offers to install additional software based on the scan results. The user then has the option to decline the offer and nothing additional will be installed whatsoever. Jim I have Open Office and Libre Office both installed on my machine. For two reasons Open Office is clearly the better choice. First, When you send a print job to the printer, say 50 copies, Libre Office sends, waits, resends times 50. Your computer and printer are crippled. This has been an open bug for over a year now and Libre shows no willingness to fix it. Open Office says “here’s the document and please print 50.” Job over! Second, Open Office has many more input filters than Libre Office For instance, I had occasion to have to import a Word Perfect for Windows file (yes, there are those who still use that!) into Libre Office. “No comprende” it said. Open Office didn’t even work up a sweat. The glacial pace of bug fixes in Libre Office and the lack of import filters makes Open Office my goto suite. I keep checking out Libre Office and I keep getting disappointed. Thanks for that Steve. I obviously haven’t used either suite extensively and casual use will more often than not fail to expose these types of issues. Appreciate your input here mate. “Word Perfect” – now there’s a blast from the past. If I recall correctly, Word Perfect was the software I used on my Amiga machine… many, many moons ago.